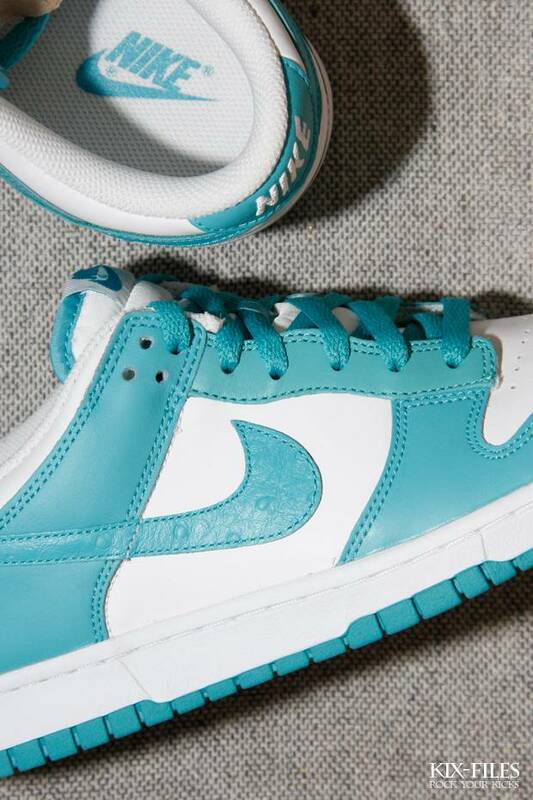 Nike Sportswear adds to the Be True To Your Street Collection with the introduction of two new Dunk Low colorways for the summer. Nike Sportswear adds to the Be True To Your Street Collection with the introduction of two new Dunk Low colorways for the summer. 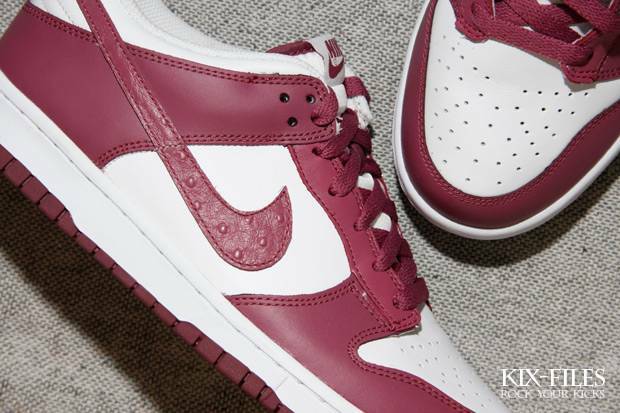 Sporting fairly simple two-tone looks with not-so-simple Ostrich detailing on the Swoosh logos, the new Dunk Lows feature the brand's environmentally Considered design cues. 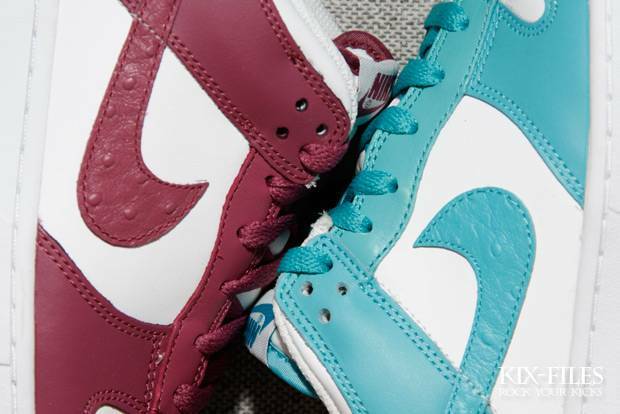 The shoes are white leather based with cleanly-blocked accenting in Mineral Blue and Myth (Burgundy) throughout. 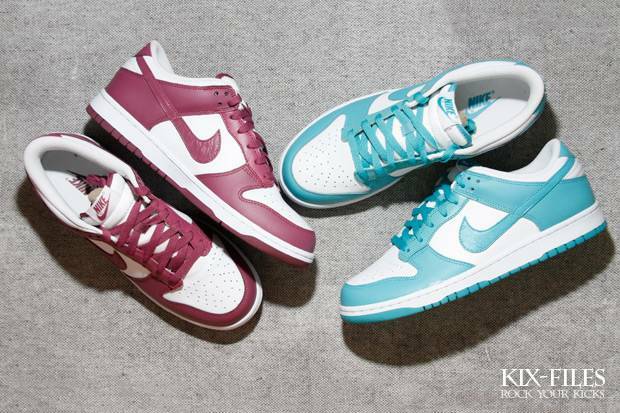 Both colorways are currently available to purchase over at Kix-Files.